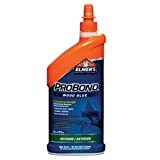 The glue you choose to use on your model bridge (or model airplane) can make or break your structure. I’d venture to say that glue choice is just as important as your wood choice, which makes it pretty important. If you build your bridge with a weak glue, then no matter how good the design is your bridge will not perform well. 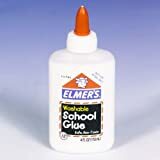 This article compares and contrasts different types of glues, showing the strengths and weaknesses of each so that you can make an informed choice for what glue to use on your bridge. Obviously this chart is biased to my own experience with these glues. Please share your thoughts and experiences by leaving a comment. What about Gorilla glue? They have brown, clear, and even wood glue now…. Shawn, I haven’t used Gorilla glue much, especially not the variations of it. My initial impressions were that it seemed very similar to Probond, which is mentioned here. I’m making a bird feeder out of popsicle sticks what glue would work? I have an upcoming balsa bridge competition that has a time limit and is judged on efficiency according to its maximum load. From this page I would assume CA glue is my best bet. What is your opinion? I have seen some people use hot glue on their pop-sickle stick bridges online. In my experience, it snaps really easy. What sound appealing is drying time and cost. If everyone in the class is required to use hot glue would it still be a good learning experience or the lack of bond would make the project a bit of a waste of time? I was searching for glues in my area but I wanted to find weldbond but when i was searching the staff suggested me to use JB weld I searched for it but there are many types which should I use? I am Geometry teacher. Each year my students build bridges and we have used many different types of glue. I have found that Locktite professional super glue works the fastest and best. It drys within seconds and the sticks will break before the glue joint. Students have tried Gorilla glue and its OK but not as good as Locktite. I am doing a project where we are trying to do the most efficent maximum load/weight of bridge. Out of the glues that you listed above, which one do you think would be best for strength/weight of glue? Thanks in advance for your help!! I personally have had great success with Weldbond. However, I know a lot of folks who only use CA glue for the best strength to weight ratio. These folks usually use toothpicks to spread just the right amount of glue onto the joints. This sounds like a really fun project. I think I get the picture of most of your design, except for the “first vertical sections” being 1/8″ plywood. Are you going with a Pony truss (open top)? What about your top chords, what material/dimensions are they? Why not just use aluminum strips for all the compression members? I am a little concerned if you had a 1/4″ square basswood strip for the compression member, but drilled a 1/8″ pin through it. Have you tried plugging your design into the Johns Hopkins designer? I’d be curious exactly what the load on your compression truss members is based on your max load. 50lbs isn’t all that much over a 30″ span, so you are probably going to be safe with Basswood. As far as using plastic, I don’t have experience with it, and it probably depends on the type of plastic. When you’re done, send in some photos! Wood Tips: Balsa or Basswood? 31 queries in 0.519 seconds.